Azteca - the first ball, made entirely of synthetic material. 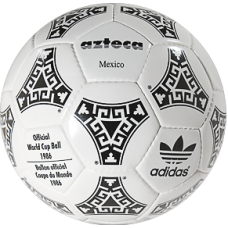 Triad used in the design of the ball, the frescoes were painted like the Aztecs. The name and design of the ball were invented in honor of the history of ancient Italy and the fine .. 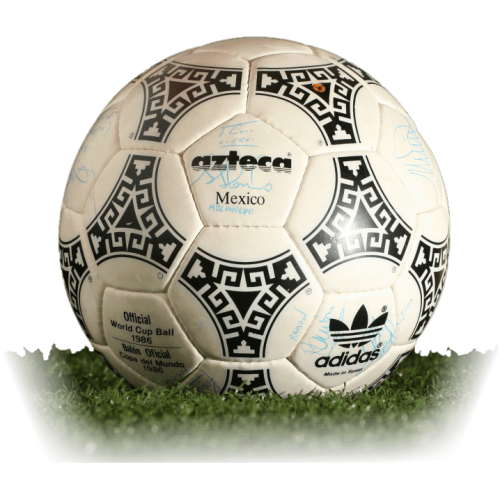 Tango España for the World Cup - 1982 in Spain was the first ball made of genuine leather and a mixt..